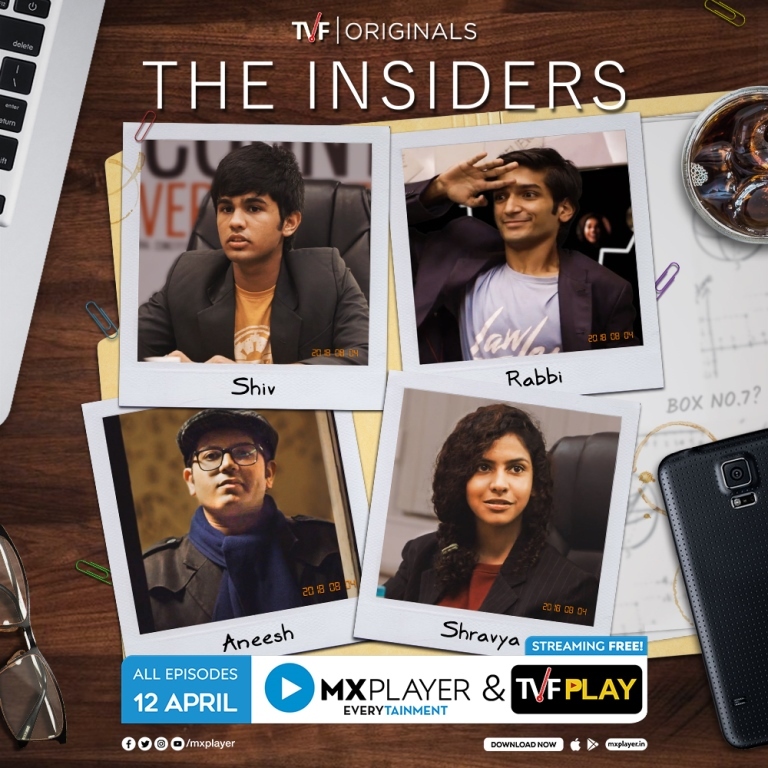 Home » News » Four reasons why you need to binge-watch The Insiders this weekend! Cause everyone deserves an escape route: Whether you want to de-stress from work or simply get away from your parents like Shiv, Rabbi and Aneesh do in the series – this show strikes the chord with you no matter the age. The special group of friends (who hasn’t had one of these?! ), the inside jokes, the conspiracies, the fantasies, and the mutual dislikes, the show encapsulates it all and invites you to be a member this weekend. Every club has these personality types: Every secret group has characters likeShiv – who is the cool, calm and composed person, Aneesh who is the introvert, Rabbi who is on a high even when sober and and Shravya who has the best taste in music! The show beautifully brings out peculiar characteristics from each of the protagonists, taking us back to our weird group of friends. 5-episodic series: Yes, you read it right. They’re short, 20 minute, snackable episodes that capture the essence of practically everyone’s teen age. And once you’re done with all five episodes, you will want to watch them all over again, we promise. You can watch them for free: Now, what more can one ask for? All five episodes are out on MX Player and TVF Play and you can watch them for free!